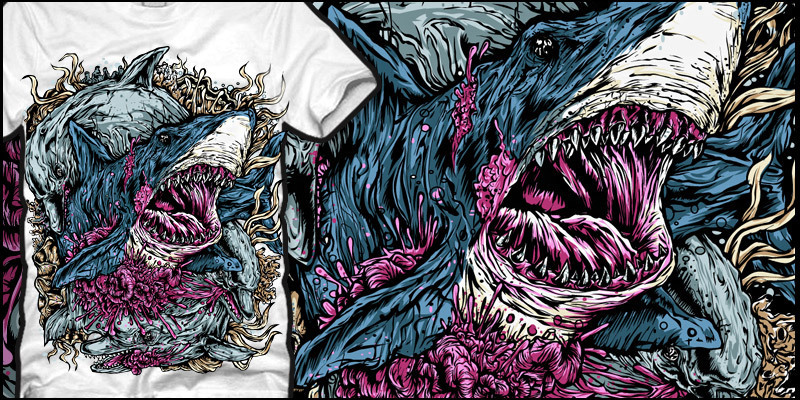 Another Shark tee..this is what you get when you watch discovery channel. creepy!! i like it..very solid. Very dense, to the point where it's hard to read. Dig it, nonetheless. underground concept said: pyter bai now dolphins rocks! I couldn't see the dolphins at first sight. NVasion said: I couldn't see the dolphins at first sight. Awesome, one of your best! iamtree said: dude this is awesome !!!! damn! 105 loves in 16 hours!? alright dude! TOTD in no time!